So how long have you been working with ceramics? It's been 32 years overall, with a 25-year break in the middle. That’s a considerable amount of time away. What was it that drew you back to the medium after such a long hiatus? Really, it was just a matter of having regular access to a facility again, as well as finding the time to add a new part to my life and studio practice. When you and I first met in October 2013, you were looking for a new studio here in New York. Where did you end up settling? My current ceramics studio is in Williamsburg. It’s quite established, a communal beehive of activity, but the situation is temporary - the owner recently sold it to a developer, and it’ll soon be condos or apartments. But for now, the studio is close to my house, so it’s pretty ideal. I’m lucky to have found it and to have been so productive there. How would you characterize your process in the studio? Low fire, low tech, simple and direct. The plastic consistency of the clay becoming a solid, permanent form is a very interesting and engaging proposal to me. The simplicity by which the material is manipulated, using only one’s hands and fingers, is a very direct, instinctual, and personal way of working. The kiln and its extreme temperatures during the firing stage is also important; obviously, that part is more ‘hands-off,” but firing is always transformative, quite alchemical. To then be able to cover that form with a layer of colored glass only adds to what’s already a dynamic process. 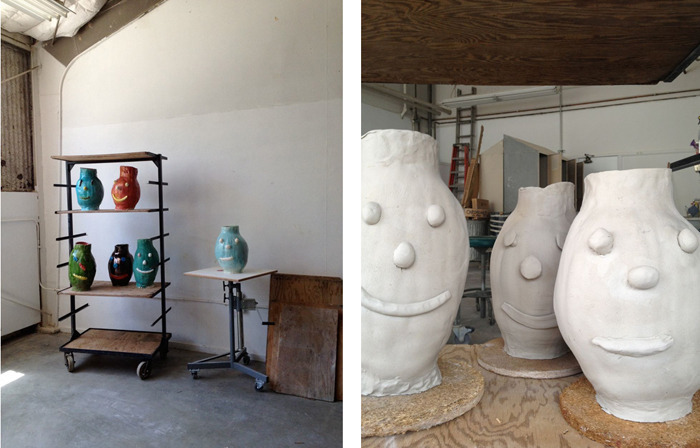 How do you view your ceramic works in relation to your 2-D work? Particularly in terms of content, do you see them as being in dialogue, or as separate conversations? It’s all related, but mostly through the materials. In the building phase, for example, the slightest touch, scratch, or poke is potentially registered, which is very similar to drawing. The three dimensional aspect is also interesting and unusual for me in relation to my paintings - for instance, I usually never render the back of a head in a painting or drawing. In the catalog for your most recent show at Anton Kern, you talk about having recently changed your approach to painting: where you used to begin with a ﬁgure in mind, you’ve come to prefer working in a more direct manner – in your words, “straight from the eyes to the hands.” I’d be curious to know whether your renewed interest in ceramics reﬂects – or might even have inspired – that change? I think it was more a wave that I was on - one that was moving in that direction with momentum and picked up all ships at the same time. It’s always about conjuring immediacy, staying focused and present, and channeling the spirit that I want the work to possess and carry forth. 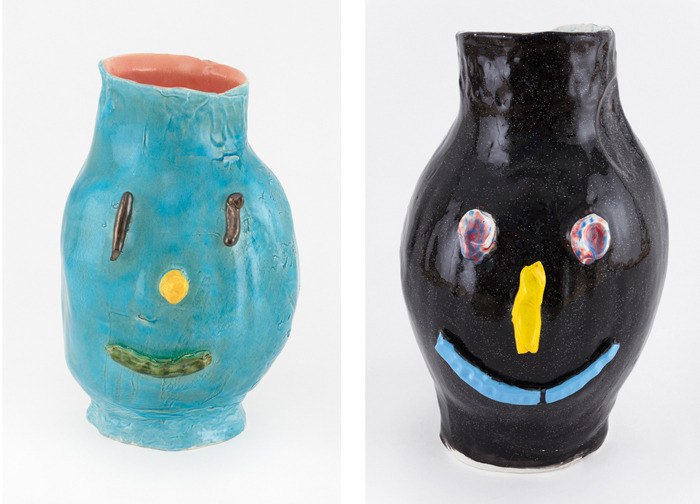 In terms of ceramics, you’re probably best known for your “Facepot” series. Can you talk about how you came to make those pieces? I wanted to work quickly with the clay, arriving at a finished form with a minimum amount of negotiation with the material itself. Starting and ending with faces just seemed like a natural window to open. It's an obvious starting point to express elements that are important to me in my work: emotion, attitude, and humor. Those pieces are clearly art objects, but they do retain a traditional vessel form. Do you have any expectation (or preference) as to whether they might ever be used as functional objects? No, they’re meant to be non-functional sculptural objects. The vase form is simply a point of referenced departure. You’ve mentioned elsewhere that you consider yourself a process painter, and are very particular about both the materials and the techniques you use. Is the same true in your ceramics practice? For example, I know you often use a lustre glaze containing small amounts of gold, platinum, silver, and nickel which, when fired, creates a thin, metallic gloss film. Along those lines, how would you say your material choices reflect your intentions for the sculptures? Simply stated, process is important to all of my work. The ceramic works are pretty straightforward in this regard, but therein lies the challenge: to keep it simple and direct. 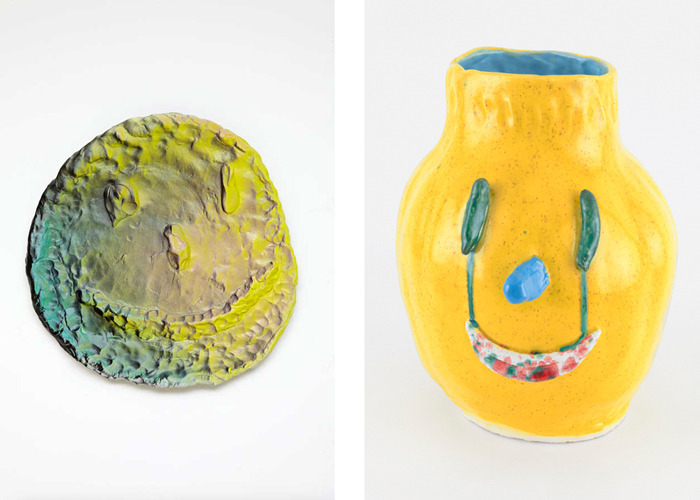 Your return to ceramics came at an interesting moment, as there seems to be a renewed interest in the medium among certain circles of artists right now. Why do you think that is? What makes it a timely medium for contemporary artists to explore? a slow-fired result of some collective wish for authenticity and the personal, a type of ballast within the encroaching waves of digitalized media that have come to represent our present. 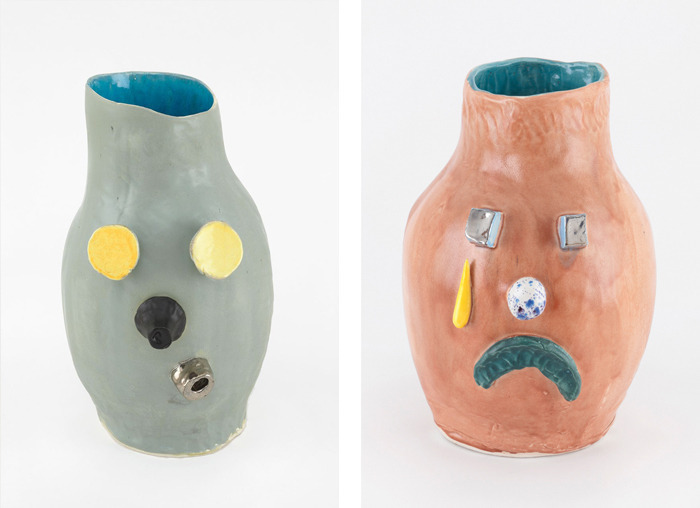 Are there any other artists working in ceramics – contemporary or otherwise – who’ve influenced your work in the medium? 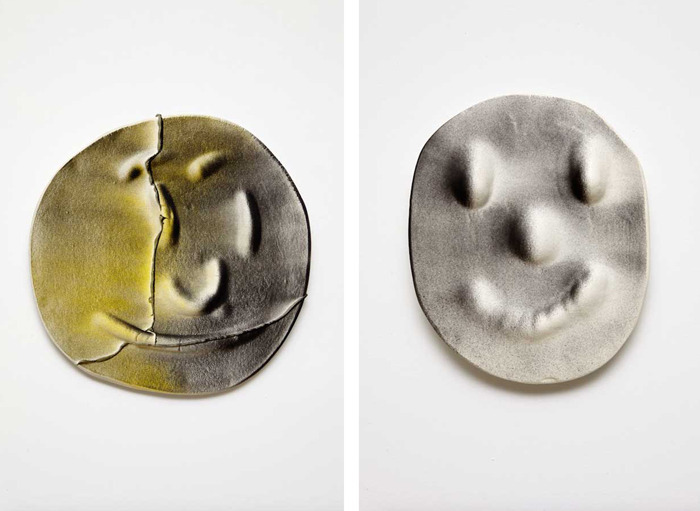 I enjoy the intuitive spontaneity of Rosemarie Trockel’s work, Lucio Fontana's simple gestural sculptures, Peter Voulkos’ and Robert Arneson's energy and humor, and Robert Turner's amazingly simple and timeless pottery. A number of those artists, particularly Voulkos and Arneson, were interested in bridging the perceived gap between art and craft, in straddling both sides of the divide simultaneously. Could the same be said for you? Are you at all interested in how your work might fit into ongoing conversations within the ceramics community? No, I’m not interested in becoming a ceramics artist per se. I just want my work to enter the wider world and to hit the ground running. I’m confident that the spirit and energy of what I do will allow it to find a place in the world.